In two days, the Frankfurt Motor Show (IAA) will finally kick off. One of the most anticipated vehicles in the event is the Mercedes-AMG Project One. To further boost the hype for the upcoming hypercar, another teaser photo of it was officially released which can be seen above. According to Daimler, Project One highlights the 50th anniversary of AMG. The hypercar features a hybrid powertrain derived from Mercedes’ current Formula One technology. Details of the Project One are still heavily-guarded by the German automaker. However, they confirmed that it will have a petrol engine combined with electric motors mounted on the front axle for optimum performance and efficiency. Based on hints, insiders and reliable publications, the petrol unit of the Project One will likely be a 1.6-liter turbocharged V6 engine. Including the electric motors, the total output of the hypercar will be at least 1,000 hp. The V6 will probably produce up to 750 hp. On the other hand, the remaining 250 hp will be supplied by the electric motors. Electric motors will be installed to the rear of the car too. One will raise the performance of the turbochargers and the other will focus on the crankshaft. Auto Express claimed that the engine should be similar to Lewis Hamilton’s W08 Silver Arrows. Unlike the F1 car’s redline at 14,000 rpm though, the Project One might only have 11,000 rpm. The report said that the lower figure is to ensure that the hypercar will have better reliability and more distance before it requires servicing. The article also noted that one of the breakthroughs of the vehicle will be its 40 percent thermal efficiency. Running on electric power alone could push the Project One up to 15 miles. 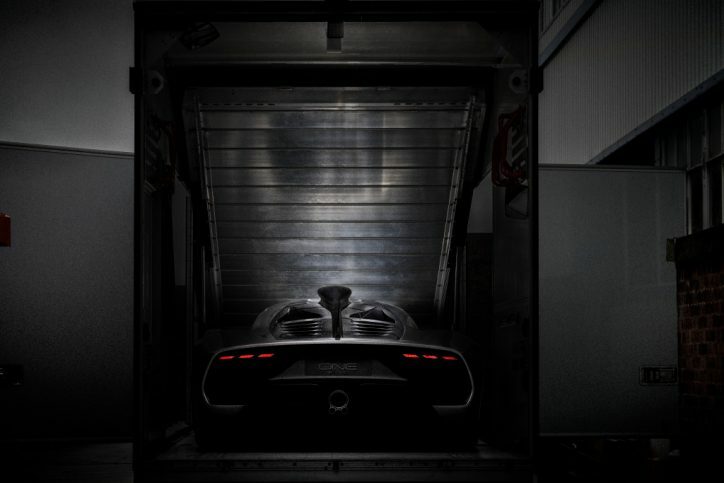 The hypercar’s electric power will be stored in lithium-ion batteries.